The LEGO Rebrick website has consistently offered monthly contests with excellent prizes to teen and adult fans. While LEGO will continue to provide the opportunity to build, post, and compete for prizes on an official LEGO run site, that opportunity will soon transition from the Rebrick site to LEGO IDEAS - "the future home of Contests." This change will not be instigated until September, however, so there is still a chance to enter contests on the Rebrick website. 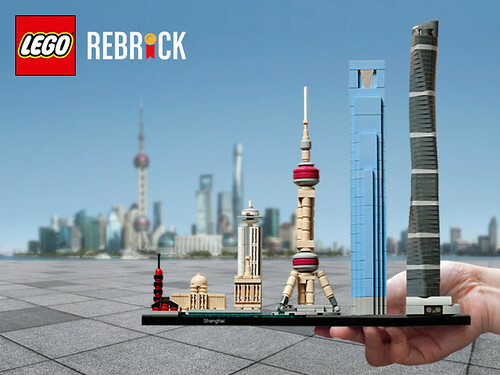 The latest Rebrick contest offering is called Architecture Faves. The contest prompts builders to create a model of a real life location that the entrant considers personally significant - be that one's favorite building, city or place. As with all Rebrick contests, some great prizes are up for grabs so take a look at the rules and be sure to get your entry in before August 2nd, 2018.